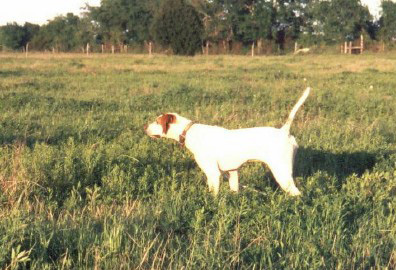 Greypointe Kennel was founded by Doug and Grace Meyer who have owned and handled winning field trial dogs since its establishment in Tennessee in 1985. 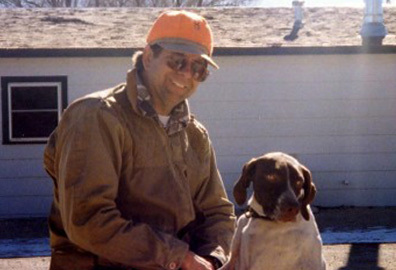 Relocation to Texas for 11 years in 1989 and now in Kansas since 2001 has allowed Doug to sample a variety of field trial venues and some of the nation’s best bird hunting areas over the years. Doug is a virtual encyclopedia of bird hunting lore for most species of North American game birds including various species of quail, pheasants, sharptails and prairie chickens, ruff and blue grouse, woodcock and Hungarian Partridge. Frequently reporting and judging major field trials across the country has further exposed Doug to performances and field situations that only a lifetime of experience could duplicate. Greypointe pointers are hunted during the season to not only keep them sharp but to assure that they are excellent wild bird dogs. Annual trips north to Montana, North Dakota and/or Iowa start the bird season early; frequent hunts for prairie chickens, pheasant and quail in Kansas and winter trips to Texas assure maximum numbers of wild bird contacts for our dogs. No dog remains at Greypointe that doesn’t meet the standard of being a proven bird finder as well as a class animal as validated by field trial placements. Located in northeast Kansas, some 25 miles west of Kansas City, we have ample land and birds to develop and polish our field trial and hunting dogs in order to compete at the championship level.